Pointy toe flats are all over Instagram right now! Every fashion blogger has a pair so naturally you want a pair, but you don't want to break the bank. Look no further, my friend. This post has two great options for under $100, so you can get the great Aquazzura look without the $600 price tag! 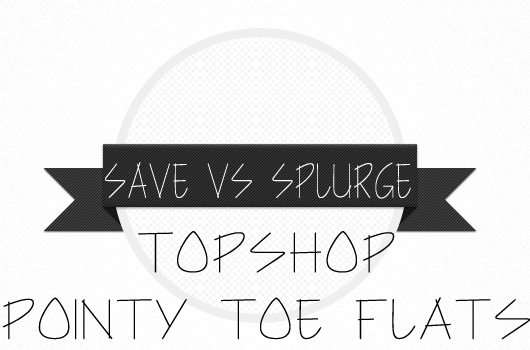 Both pairs are from Topshop and feature the sleek look that everyone is going crazy over. Keep reading to see which pair of flats I'm adding to my closet! Hopefully you'll also find a pair you can't live without. The verdict: My pick is the 'Fancy', which is currently 50% off! Even though I love the style of the 'Leather Kingdom', the gold detailing on the 'Fancy' is too good to pass up. 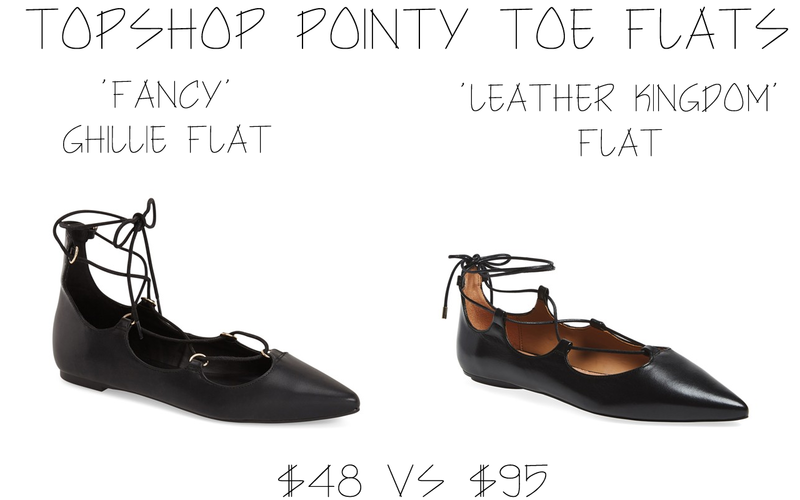 If you miss out on catching the 'Fancy', Topshop has tons of lace up flats for any budget! The 'Leather Kingdom' ghillie flats are currently sold out (Again! ), but I'm sure they'll be back in stock soon. Just check the list below and I'm sure you'll find the perfect pair of pointy toe flats for any budget. I'm especially in love with this pair that is made using velvet and features a pom-pom on the ankle. How cute! Which pair of Topshop lace up flats would you pick? Let me know in the comments below!